Are you sure you know the difference between what is true and what is false when it comes to exercise? You may be surprised. Here is a list of 8 common fitness myths. Although fitness experts have debated about the best time to stretch, the consensus is that it’s better, safer, and more effective to stretch after your workout. Before exercise, you can warm up with easy movements that prepare you for exercise. Forget this mantra. Never exercise through pain unless you have a known injury that you are rehabilitating. In most cases, pain is a warning sign of an injury. 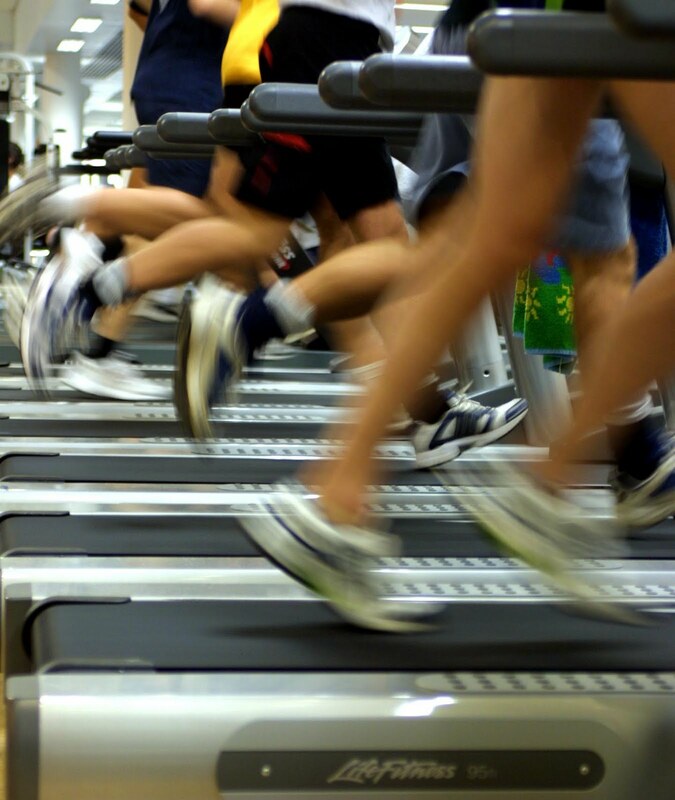 Running on a treadmill at your gym may seem safer, but that’s not necessarily so. Running incorrectly on a treadmill can be just as stressful as running outside. If you’re not careful, running on a treadmill can result in an injury or fall. If you have knee problems, a treadmill may be just as stressful as a run outdoors. You can’t have a six-pack abdominal region just by doing a lot of abdominal exercises. A great deal is controlled by diet and genetics. Losing fat requires taking in less calories as well as burning more calories. To get rid of that belly fat, you have to do cardio, exercise, and watch your diet. Women are afraid that if they lift weights they will bulk up. The reality is that most women will simply look toned from weight training. It is difficult for a woman to bulk up because she lacks the amount of testosterone that a man has. Female bodybuilders who have a lot of muscle have been training for years and have been lifting very heavy weights. General fitness training will not make women bulky. How much you sweat depends on many factors, including your basic metabolism, how much you weigh, and where you’re exercising. You get plenty of exercise benefits without sweating heavily. 7. At Some Point, You’re Too Old To Exercise. That’s a big fat myth. You are never too old to benefit from exercise. Studies show that older people can reduce their risk of high blood pressure, diabetes, osteoarthritis, and mental decline with an exercise program. Yet about 75% of older Americans are not getting enough exercise. For most people, 30 minutes of moderate aerobic exercise at least five days per week, can help maintain good health, improve fitness and energy levels. If you are exercising more than that, keep in mind that it’s important that you allow your body to rest a couple days a week so as to recuperate from exercise.